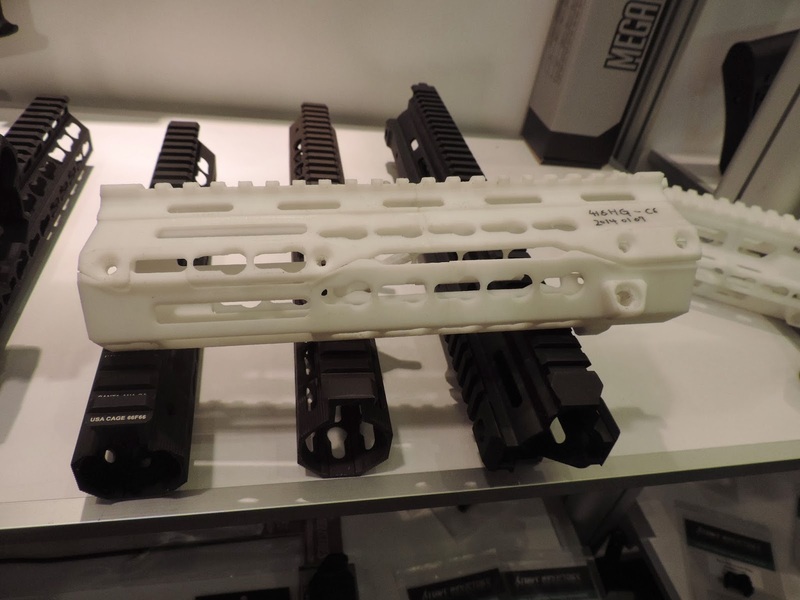 We like to see the prototypes at SHOT Show and Strike Industries had a few on display. These concepts wouldn't be given much credence if it wasn't for the fact that Strike Industries often shows off their initial design all the way up to fruition. 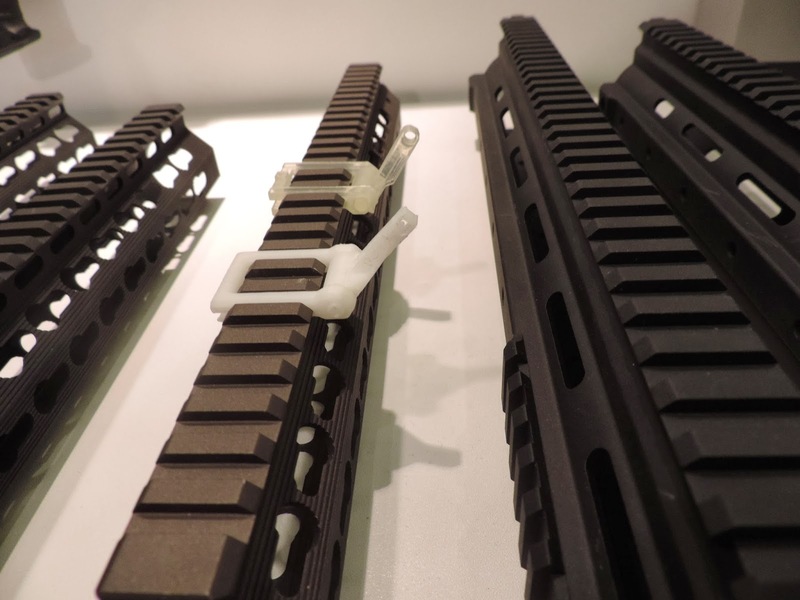 Below is a look at their new offset microsights utilizing 3-D printed materials. The sight folds over to fit within the spacer on the Picatinny rail for a flat stowage when not in use. These will be manufactured with aluminum for the final production model. 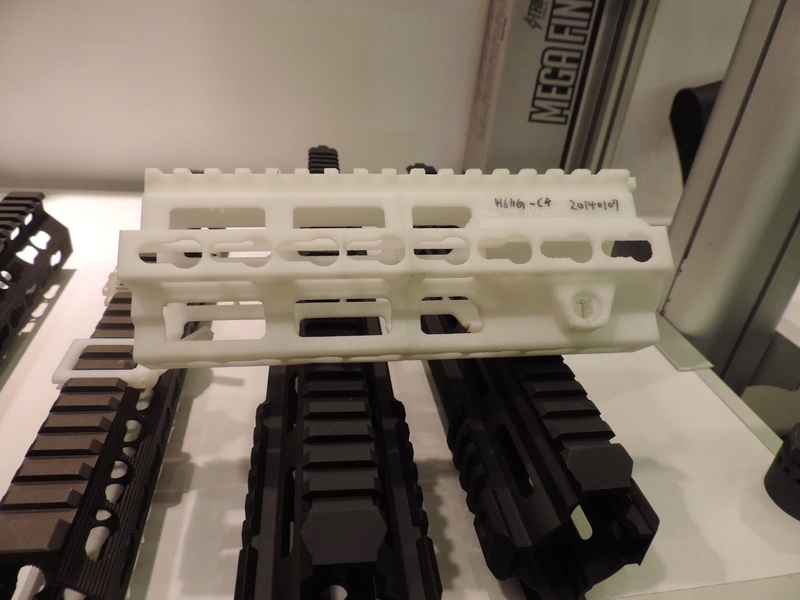 In addition to the standard handguard offering, Strike Industries will also be offering a KeyMod version for the mr556a1. H&K utilized a modular attachment system on the latest model mr556a1-SD, which was similar to KeyMod, but in a backward configuration compared to the standard use, as well as a slightly different slot design. Strike Industries stuck with the industry standard KeyMod and had two prototypes to show off the concept. 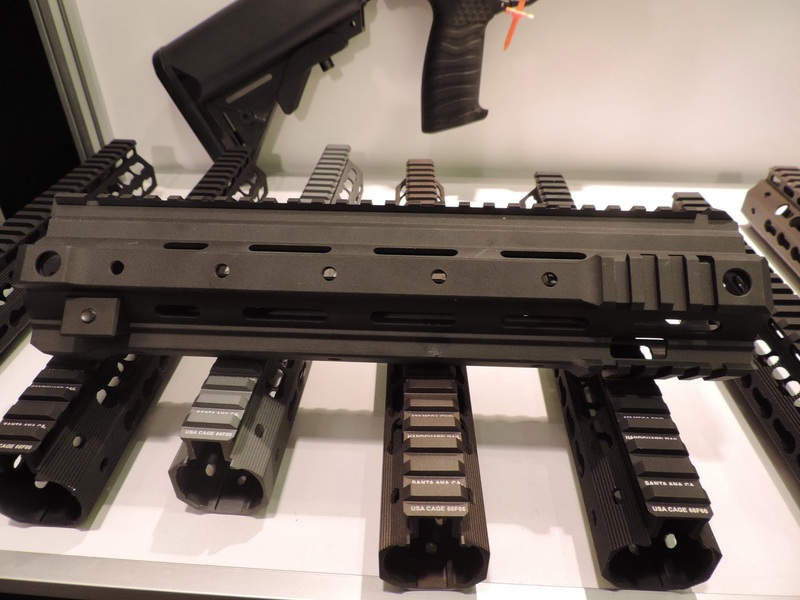 One is a single rail, while another is a three piece design with a separate continuous top rail and a detachable lower handguard.